I could have put this article under the letter “H” for herbs but I found that most of the horse owners I meet that use herbs do so because they believe in Traditional Chinese Medicine (TCM) and its philosophies. Therefore, it is the final installment under the letter “C”. Have you ever wondered what Chinese herbs are doing in equine health care? Are you a bit confused by all the herbal products out there and their purpose? Well, this article will help you understand the role that Chinese herbs have in equine best management practices. In my personal health and horse management program I like to use an integrated approach that combines the best of traditional medicine (and methods) with alternative ones. I have found that this combination helps me find solutions to stubborn problems and results in a more holistic system of care. Chinese herbs can be used for a multitude of problems including long term issues such as allergies, arthritis and immune support. They can also help with more short term problems such as anxiety and digestive upset. I suggest you consider using herbs and herbal blends if you want a more natural approach or as a compliment to more traditional methods of horse care. What are Chinese Herbs and Where Do They Come From? The use of both Chinese and Western Herbal medicine dates back thousands of years. It aims to understand and treat the underlying causes of disease and ill health rather than just focusing on the expression of symptoms, thus it is a very holistic form of medicine. For centuries the Chinese theories have offered herbal solutions that support health, not by simply addressing the issues, but by balancing the body’s underlying disharmony. 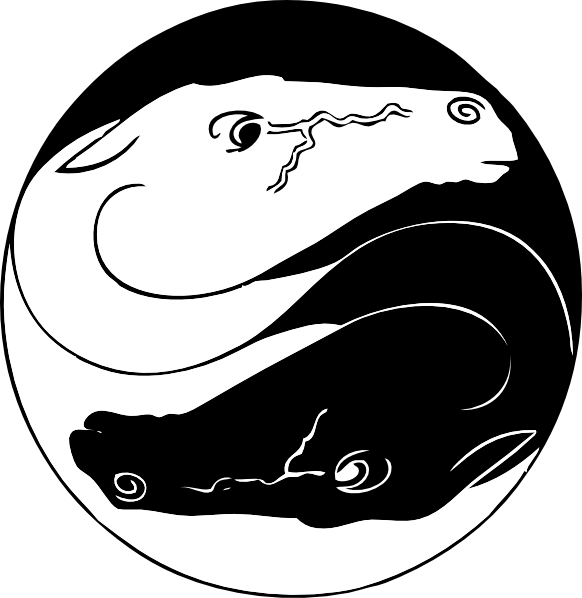 Chinese medicine can be defined as a philosophical theory based on Yin and Yang and the Five Elements related to health. 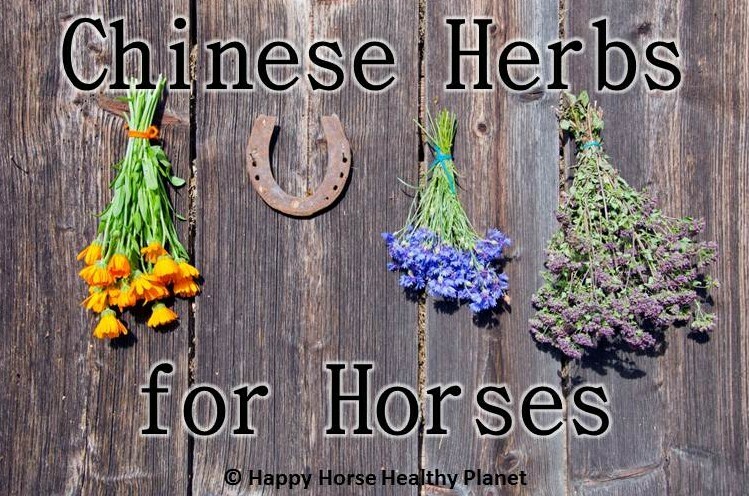 Most horse owners that use Chinese herbs do so based on these traditional Chinese theories of health and wellness. Chinese herbs are classified and used based on a physiological effect (what it does in the body), by the meridian and/or organ system affected, by their taste (bitter, sweet, etc) and by their temperature. This system is unique to the practice of Chinese herbalism. Of the 6,000 documented medicinal species, 400 are used regularly, mixed, matched and paired based on a desired effect. Horses are herbivores so they eat plants. In their natural environment, horses graze and they readily consume various herbs. Horses will naturally eat herbs such as Comfrey, Red Clover and even wild Garlic when they are available. However, not all useful herbs grow in the pastures of domesticated horses since each require differing climates to be at their best. Therefore, many horse owners supplement herbs in the diet of a domestic horse. Some suppliers use only the best quality herbs that are sourced individually from specific Providences of China. They believe the climate and quality of the soil combine to provide a far superior growing environment to anywhere else on the globe. No matter the source, using herbs is more of a thought process and wellness attitude than of a geographical area of origination as there are many herbs that come from all over the world. Many equine Chinese herbal blends are the by-product of the human herbal industry where they are ground or pelletized for use with horses. In addition, many of our modern drugs originate from herbs, for example, aspirin comes from white willow bark. Why Feed Chinese Herbs To Horses? In the wild horses have access to hundreds of herbs and plants and when fed responsibly herbs can provide domesticated horses with a variety of health benefits. 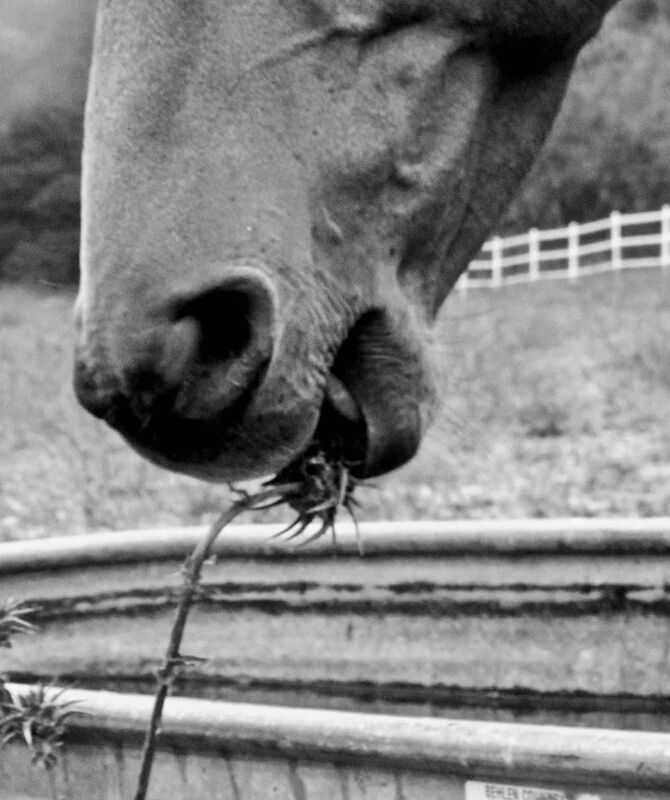 Generally speaking herbs are used for chronic, long-standing problems and often can allow your vet to reduce the amounts of pharmaceutical drugs they use on your horse. Traditional medicine uses a very linear approach; this is the problem and this is the solution. Sometimes because of this non-holistic view, modern pharmaceuticals can weaken the body in one area while addressing the symptoms in another. To me Chinese herbs are more suited to overall general health than acute illness. Chinese herbs are a beneficial additional form of nutrition from a source other than good quality feed to keep horses at a noticeably higher level of health. They are also a great aid in the healing process after traditional medical treatment has addressed the immediate threat. For example, treating an ulcer should begin with a traditional pharmaceutical acid reducer such as omeprazole, but long term healing and prevention can be supported through herbs such as slippery elm and licorice root. In fact, the most common reasons I see for horse owners to use Chinese herbs are for long-term help with calming, boosting the immune system and for digestive issues such as ulcers and colic. Herbs can sometimes do things that pharmaceutical drugs cannot like balancing hormones and often herbs can have a better safety margin than traditional medicines. Chinese herbs can promote health without the negative side effects that synthetic vitamins can produce such as taxing the body’s elimination organs. Some herbs are also more readily consumed into the body because horses find many of these plants more palatable than traditional supplements. How Do You Feed Chinese Herbs to Horses? Chinese herbs are normally safe and effective, but they must be used thoughtfully and intelligently. As with any supplement, prior to feeding any herbs to your horse always check with your veterinarian to be sure there are not any medical concerns. Some herbs should not be fed if your horse is pregnant or has been diagnosed with an illness like Equine Metabolic Syndrome for example. Before you even consider adding herbs to your horse’s diet I would also suggest that you get a book on herbs for horses or at least do some internet searches to familiarize yourself with herbs and their uses. There are over six thousand different plants that are used in herbal supplementation. Chinese herbs can be used alone or in a blend but which ones work best in various combinations can be confusing. You should determine what your goal is as each herb has specific uses. 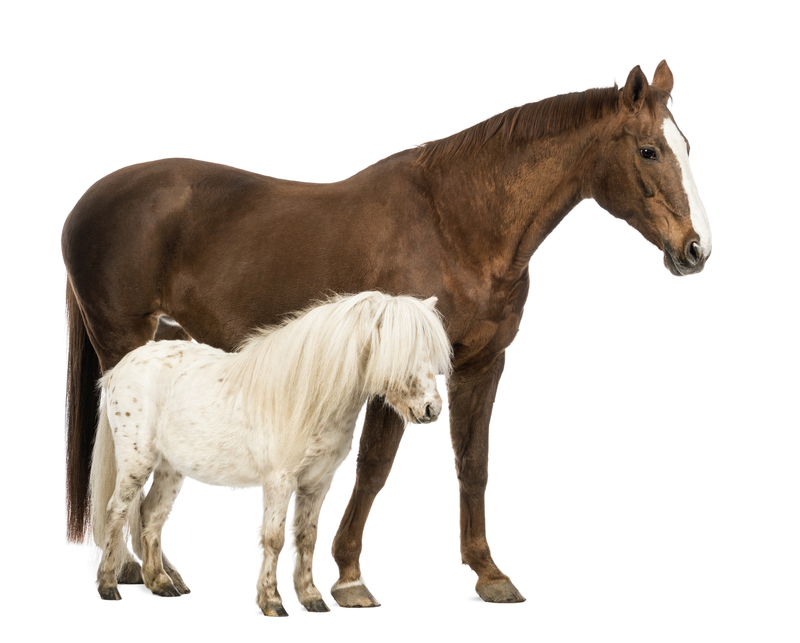 To correctly dose your horse, even for basic herbs, you still need to take into consideration the variables such as size, current health, nutrient profile of its ration and use. As with traditional medications, each horse will have specific dosage and requirements. 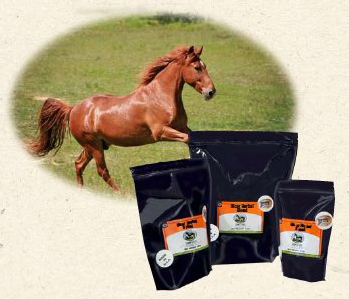 Most horse owners I work with feed a prepared herbal supplement that has been formulated by professionals that understand the correct combinations of herbs and that provide recommendations on usage. This can take some of the guess work out of feeding herbs. When developing an equine herbal formula, the Chinese herbalist is much like a cook in the kitchen. The Chinese herbalist combines various herbs based on their contribution to create an effective formula designed with a specific health goal. A cook combines various ingredients to develop a well-balanced meal. I advise owners not to overload or overwhelm horses with too many herbs, supplements and medications simultaneously. I would suggest that you limit the use of herbs to two formulas at any time so you can better evaluate the results. It’s also important to know that the herb manufacturer has good quality control procedures and backs up their products. Only use products with the ingredients listed on the packaging so you can be sure you are feeding the herbs you want. Start slowly and give them time. Chinese herbs work slowly unlike traditional medications that generally show improvement within days. Are Chinese Herbs Safe To Use on my Horse? Because herbs are considered dietary aids or nutraceuticals they are not well regulated by the FDA. Although they are considered generally safe, they do have a physiological effect on the body and should be used wisely. Always speak to a vet (preferably one who’s open to and somewhat knowledgeable about nutraceuticals) before administering any herb to your horse. Never use herbal preparations in place of veterinary care. It’s important to get a proper diagnosis FIRST as with any treatment, you need to know the cause of the problem before you begin treating it. 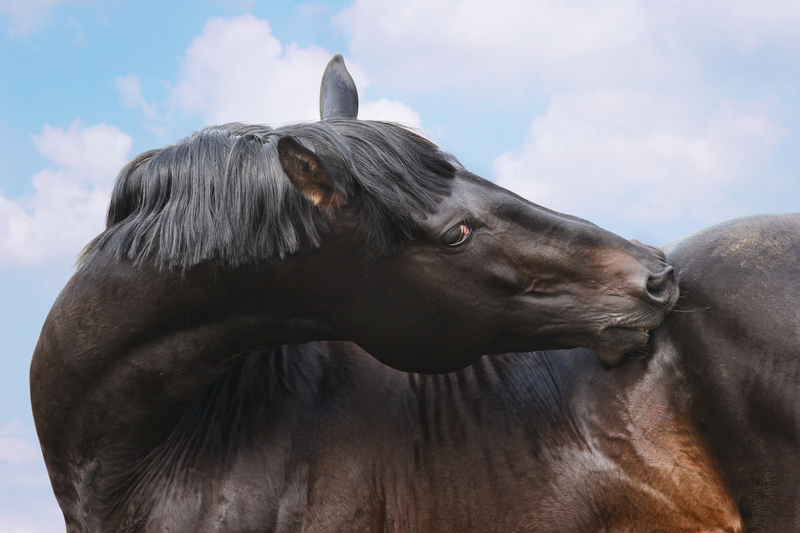 For example, your horse’s poor coat condition could be from mineral deficiency or parasite infestation. If you just start feeding an herbal supplement to improve the coat, you could create a new problem without ever addressing the original one. Many horse owners assume that because an herb is “all natural” it is always safe. You must remember though that Chinese herbs act like a drug in treating a condition and like a prescribed drug have specific properties and can have side effects. Remember that some herbs may be contraindicated for your horse if you use them with other drugs or other herbs. In researching Chinese herbs use a variety of sources, I always feel that if I find multiple sources agreeing I feel more confident in its accurateness. Remember, just because a little is good doesn’t mean a lot is better! Discuss your plans with your vet, an herbalist or use one of the many herbal blends and FOLLOW PACKAGE DIRECTIONS. What are the most Common Chinese Herbs used in Equine Wellness? 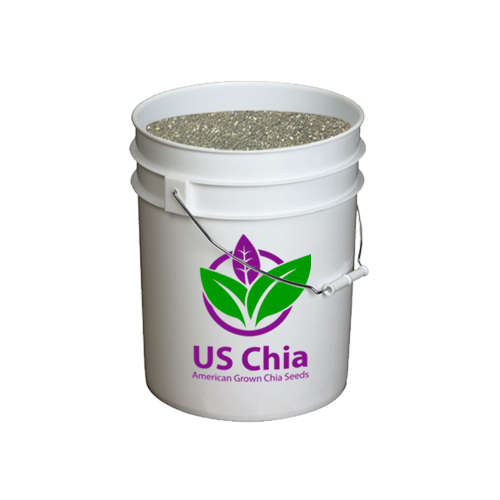 Usages: A nutritious plant extensively fed to horses for its general tonic and nutritional qualities. It can also be helpful in cases of water retention and urinary infections. Comments: Alfalfa is often used as a high fiber fodder. It is rich in calcium, potassium, magnesium, iron and many other vitamins and minerals. Usages: Internally- Used as a digestive aide. In small doses it supports the estrus cycle. Externally- For minor burns, bites, skin irritations, sores and bruises. Comments: There are over 200 species of Aloe, of which Aloe Vera is the most commonly used. Aloe Vera can stimulate the uterus and should be avoided during pregnancy. Usages: Internally- Used for digestive disorders, colic, coughing and respiratory concerns and for increasing milk flow. Externally- The oil is used for lice and other parasites. Comments: This herb can be helpful in stimulating appetite and assisting in digestive disorders that could lead to colic symptoms. It is commonly used in respiratory blends. Avoid infusions during pregnancy. Usages: Helps relieve pain and reduce swelling from bruises, sprains and muscle strains. Comments: Arnica is used in homeopathic preparations only for internal use and as a tincture or cream externally. The herb should not be taken internally. Usages: It can help with digestive issues and nervous system concerns. Comments: Can be helpful in regularizing the estrus cycle in mares and the associated discomfort. Usages: Internally- Used for respiratory disorders such as coughs and for constipation or digestive disorders. Externally- Can be used in a poultice and applied to itching skin and ringworm, as it has bacteria and fungus fighting qualities. Usages: Helps to stimulate an under-active thyroid gland. It is good for coat and hoof conditions and an aid to arthritic and rheumatic conditions. Comments: Bladderwrack, or dried seaweed, is an original source of iodine. It is also rich in calcium, magnesium, potassium, selenium and many other vitamins. It is thought to reduce obesity through stimulating the thyroid gland. Externally- Can be used in a poultice and applied to itching skin and ringworm, using its bacteria and fungus fighting qualities. Comments: A very effective blood cleanser probably best known for its benefits for skin concerns. This herb is also helpful in taking away excess fluid and reducing swelling. Usages: Circulatory disorders. Can help strengthen and repair capillaries and is helpful in conditions relating to poor circulation. Comments: Contains rutin, a substance that affects the strength and permeability of the capillary walls. Usages: Internally- Used for stress, tension and nervous conditions and those associated with digestive disorders. Externally- Can be applied in liquid form to wounds, bruises and skin disorders. 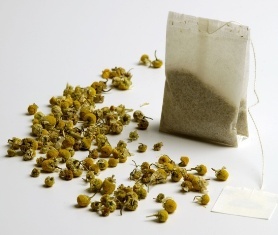 Comments: Chamomile is best known for its relaxing qualities and can be helpful for both horse and rider for nervous tensions before competing. It will not adversely affect the performance. A bunch of the flowers hanging in the stable is said to help deter the flies. Usages: For PMT (PMS) and in cases of hormonal disorders. Comments: Chaste Tree Berries are regarded as a hormonal normalizer and they help to regulate the estrus cycle. Therefore they can be a useful aid in preparing a mare for covering as well as relieving the effects of PMT (PMS). Chaste Tree Berries can also be helpful in male horses by helping to normalize irregular behavior resulting from hormonal disorder. Do not use during pregnancy. Comments: This herb has a reputation of having curative qualities for growths and tumors. An excellent tonic for the lymphatic system. Rich in calcium, copper, iodine and sodium. Usages: For respiratory concerns, including coughing, asthma and pneumonia. Also used for diarrhea and as a general tonic. Comments: Historically this herb was one of the most popular cough remedies for humans. There is some controversy in the medical world as to whether large amounts of this herb can cause liver concerns. It should be avoided in pregnant or nursing mares. Externally- Wounds, sprains and as a poultice for boils and abscesses. Comments: Comfrey is an excellent herb to promote the healing of bone and tissue. For a fracture or severe injury that needs help to heal quickly there is no better herb. The healing qualities can help in repairing damage to lungs and the respiratory system. There has been some controversy over possible liver damage that may result from giving large quantities over a long period of time. Usages: Used for disorders of the urinary tract and kidney infections. A mild laxative. Usages: Internally- For water retention, inflammation, kidney and liver complaints including jaundice. Stimulates appetite and aids digestion. Also used for rheumatism, arthritis, laminitis and is a mild laxative. Externally- The pressed juice from stalks or leaves can be an effective cure for warts. Comments: An extremely effective diuretic herb that has the benefit of replacing lost potassium. Dandelion is one of the most useful medicinal herbs as all parts of the plant are effective and safe to use. Usages: For arthritis, rheumatism, degenerative joint disorder (DJD) and to reduce inflammation and pain. Comments: Devils Claw is now looked upon as a natural alternative to Phenylbutazone (Bute) and Cortisone, since it has similar actions. There are no apparent adverse side effects. Many companies now produce Devils Claw in a liquid form often with other ingredients. As in all products, some are better than others. Devils Claw is a uterine stimulant and should not be fed to pregnant mares. Usages: Increases bodily resistance against viral and bacterial infection. Comments: This is an excellent herb for the prevention and cure of viral and bacterial infections. It has the effect of enhancing the immune system by stimulating the production of white blood cells. Usages: Internally- To stimulate the liver. Also can be fed for nasal congestion. Externally- Can be used as a lotion for the eyes where it is useful for its qualities. Usages: Coughs, appetite, constipation, diarrhea and stimulates milk flow in nursing mares. Also good for urinary disorders. Comments: Can be used as an eyewash for irritations and strains. Fennel is disliked by fleas and in a powdered form helps keep them away from stables and kennels. Avoid high doses during pregnancy. Usages: Internally- As a conditioner it stimulates digestion. Useful for coughs and as a general tonic. It also helps to stimulate milk flow. Externally- The crushed seeds can be used for bruises, swellings, boils and ulcers. Comments: Very good for stimulating appetite and improving condition. Increases milk flow in the nursing mare. Avoid large quantities in early pregnancy. Also in mares with hormonal concerns, where it can sometimes affect their behavior. Usages: Internally- Commonly used to repel flies and insects. Helps with coughs and respiratory disorders, rheumatism, aids digestion and intestinal infections. Externally- Can be applied for bites, ringworm or boils. Comments: The best known herb used for horses which has many qualities and benefits. It helps prevent coughs, improves digestion and prevents worms. Also Garlic promotes sweating and in doing so excretes through the skin to repel flies and insects. Although Garlic can taint the milk in a lactating mare, it transfers its benefits to the foal. Usages: Internally- Kidney and bladder disorders, digestive concerns and for coughs and asthma. Externally- As a poultice or ointment for ulcers and slow healing wounds. Usages: Improves circulation and blood flow throughout the body. Good for coughs and allergies. Comments: Ginkgo is an antioxidant which means it slows the formation of free radicals which are believed to be responsible for cancer. Usages: A general tonic for the heart, lowers high blood pressure and aids digestion. Comments: Do not give to pregnant mares. Usages: Calming, nervous diarrhea, stimulates appetite, digestive concerns. Comments: Has a bitter taste which makes some horses turn away. As part of a calming blend they are very effective. Usages: For coughs and respiratory conditions. An effective digestive stimulant and a tonic that is particularly good for inflammation of the liver and jaundice. Usages: Internally- Used for kidney and bladder disorders and to help arrest internal and external bleeding. Also beneficial for arthritis. Externally- For bleeding wounds and healing. Comments: Like many herbs, Horsetail has toxic characteristics and while it can be beneficial in small doses, caution should be taken. 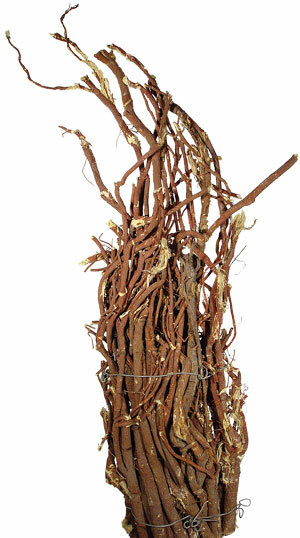 Used correctly, this powerful herb can form part of an effective herbal blend. It is best avoided in pregnant mares. Usages: For nervous system concerns and as a relaxant. Comments: The oil is used extensively in perfumes and toiletries. Usages: Used for nervous concerns, colds, fevers and as an aid to PMT (PMS) type behavior in mares. Usages: For arthritis, bladder concerns, and coughs and as a general tonic. It is also a digestive aid in the prevention of colic. Comments: Not recommended for pregnant and nursing mares. Usages: Internally- Particularly beneficial for skin concerns and as an aid to digestion. It also helps induce perspiration and to regulate the estrus cycle. Externally- Used as a lotion or cream for sprains, wounds and swellings. Comments: Do not give during pregnancy. Usages: For digestive disorders including diarrhea. Also used for coughs. Usages: For rheumatic and arthritic pain, bladder and kidney disorders and reducing fever. Comments: Contains salicylic acid, the substance from which acetylsalicylic acid (aspirin) was synthesized. Usages: Best known as a liver tonic, it detoxifies poisons that enter the blood stream. It also promotes milk production. Comments: Used in the pharmaceutical industry for gall bladder disease and for the regeneration of tissue in cases of liver damage. Usages: An aid to the digestive system in the prevention of diarrhea and colic. It also induces perspiration and can help coughs. Comments: Used as an appetizer to help encourage the horse to eat and its strong pleasant smell makes it ideal to add to feed. It can be helpful in drying up a lactating mare. Usages: Hemorrhaging, anemia, rheumatism, arthritis, laminitis, sweet itch, spring tonic, allergies, milk production, appetite, coat and skin. Provides iron and vitamin C to help strengthen and enhance the circulatory system. Helps in the elimination of waste products of the liver and kidneys. Comments: Occasionally, a horse can develop a nettle rash in which case it might be better avoided. Usages: For kidney concerns and urinary infections. Also used for coughs and arthritis. Comments: Parsley can act as a uterine stimulant and therefore should not be fed to pregnant mares. Usages: Internally- Used for internal hemorrhaging, chronic diarrhea, hormonal disorders, nose bleeds and mouth ulcers. Externally- Suitable for use in a cream for soothing and healing inflammatory concerns of the skin and for bleeding piles. Usages: Psyllium seeds are said to be helpful in the prevention of sand colic. Usages: A useful aid for the foaling mare. 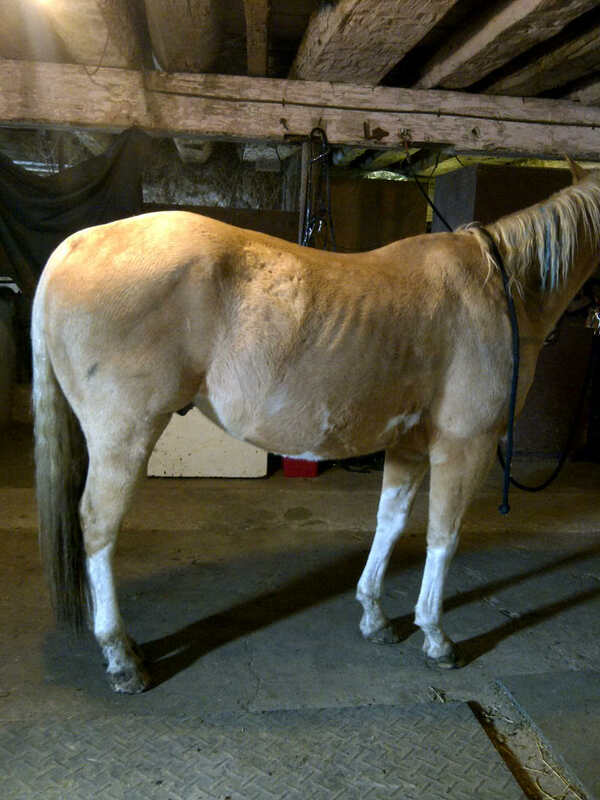 Ideally fed about one month before and after foaling. Tones pelvic and uterine muscles and enhances milk. Can also be helpful in the treatment of diarrhea and mouth ulcers. Comments: A very good herb to assist in foaling and cleansing although it is better not to give it early in the pregnancy. 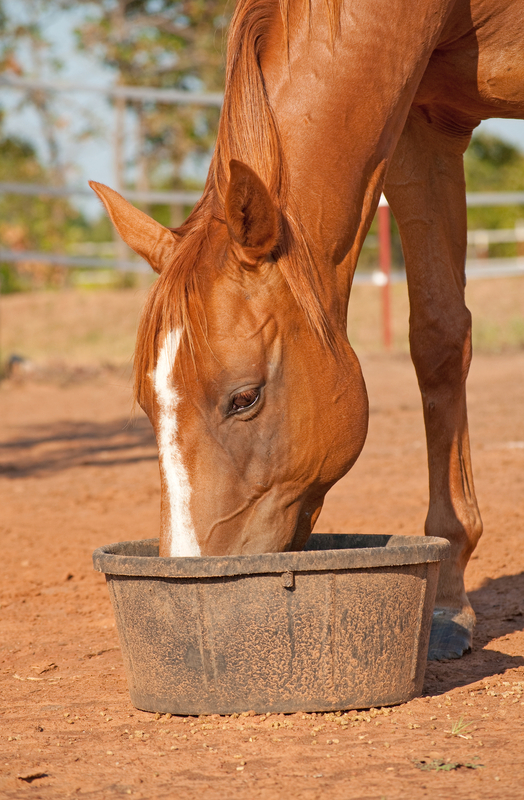 It is often very effective in treating horses with diarrhea – usually things improve within a few days. Usages: Internally- Used for coughs, diarrhea and acts as a blood cleanser for skin concerns such as mud fever. 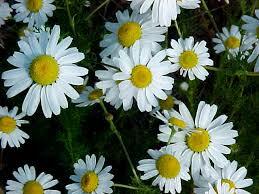 It also has calming and sedative qualities and can be helpful in the treatment of melanomas. Externally- A compress can be used to treat rashes, ulcers, burns and sores. Usages: Used for irritable coughs. It also has a soothing effect on the nervous system and it can be helpful for excitable horses. Comments: The seeds have a pleasant nutty flavor. Usages: Used to promote hoof growth. Can be fed for exhaustion, constipation and as an aid to prevent scouring. Comments: The high levels of vitamin C (up to 1%) help the body’s natural defenses. Rosehips have been shown to be a good natural supplement to promote hoof growth. Usages: Circulatory and nervous system stimulant, digestion, rheumatism, and diarrhea. Comments: Essential oil can be detectable in blood tests. Usages: Reduces sweating and lactation. Good for coughs, colds and nervous conditions. Also used for gastrointestinal disorders, gas colic and mouth infections. Usages: For respiratory disorders, coughs and colds. Usages: Internally- An aid for digestion, diarrhea and bronchial concerns. Externally- For ulcers and abscesses. Usages: For inflammation of the internal organs, disorders of the female reproductive system, rheumatic pain, stress, anxiety and tension. Is also an effective sedative. Comments: Not recommended for long term use. Can make fair skinned horses especially sensitive to sun (photosensitivity). Usages: Used to treat fevers and for kidney and urinary disease. Also helpful in cases of diarrhea and anemia. Usages: The diluted oil is usually applied externally for conditions of the skin. Good for sweet itch, burns and fungal infections such as ringworm. Comments: Recommended for external use only. Used in many coat conditioning grooming products. Usages: Internally- Used for respiratory concerns, coughs, sore throats, digestive concerns and indigestion or wind colic. Externally- Can be used as an ointment for swellings and warts. 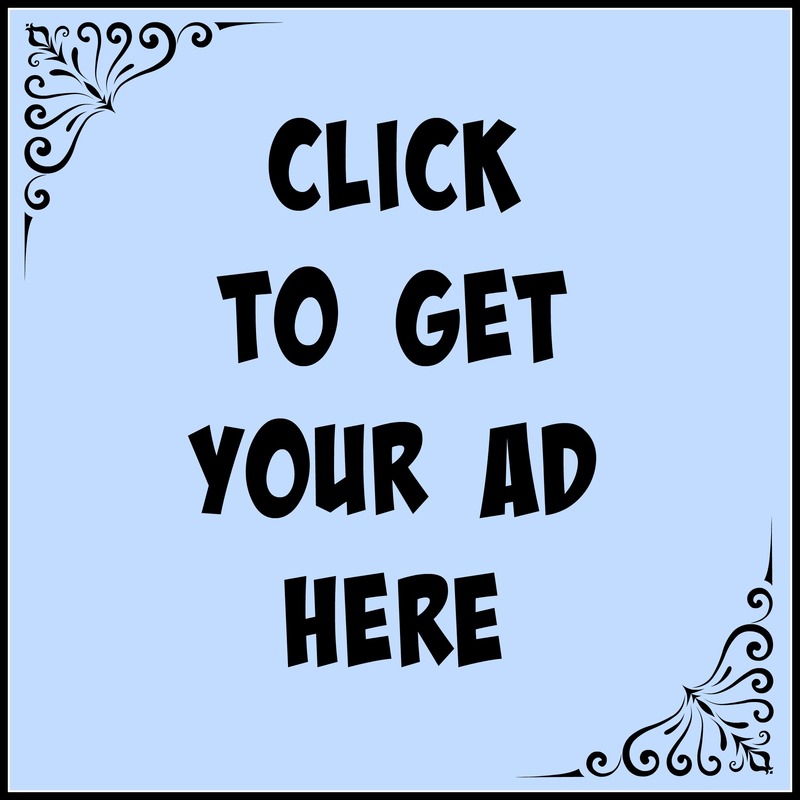 Comments: Does not adversely affect performance in competition. Some governing bodies are testing for the use of Valerian Root during competitions. For those concerned about competitions in the U.S.A. there are other calming herbs that can be used as an alternative. Usages: A very good herb that can be used for a number of conditions including fevers, ulcers, tension, stress, nervous disorders and liver complaints. Usages: Contains tannins which are very good for the digestive system. Reduces inflammation and relieves pain. Good for rheumatism, arthritis and in reducing fevers. Comments: The characteristics of White Willow are very similar to Aspirin. Since White Willow is in effect a natural form of Aspirin it could be regarded as a prohibited substance for competition purposes. It should also not be used long term for pregnant mares. Usages: Internally- It is used for hemorrhaging from the lungs and for stomach intestinal ulcers and diarrhea. Externally- Ideal for use as a tincture or cream for bruises and inflammatory swellings, bites and burns. Comments: Use only externally unless under veterinary supervision. Usages: To help prevent worms and for digestion and appetite. Usages: For digestion, appetite, fevers, kidney disorders and urinary infections. 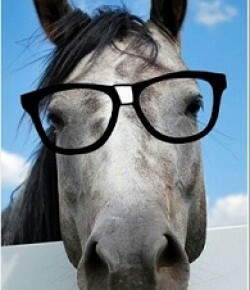 There ya have it…I hope this helps you understand the rising popularity of using Chinese herbs in equine health care. The practice of Chinese herbal medicine may be ancient, but the science of herbal medicine continues to grow and evolve to meet the needs of modern horses and riders. I shouldn’t have to say this but I will- The information presented in this article is for informational purposes only. It is not intended to endorse any product or ingredient and should not be used as substitute for visits to your attending veterinarian.